Photographer Tim Lytvinenko joined and documented Megafaun as they toured across the states in support of their latest release, Gather, Form & Fly, out now on Hometapes. The result is a collection of experiences from the road in what they dub “part-documentary, part-sense memory.” No surprise, Lytvinenko puts this collection of shots to the music of Megafaun’s epic almost instrumental track “Impressions Of The Past”. It’s the best of the road, the fun and the fans, the antics and the hilarity of it all. 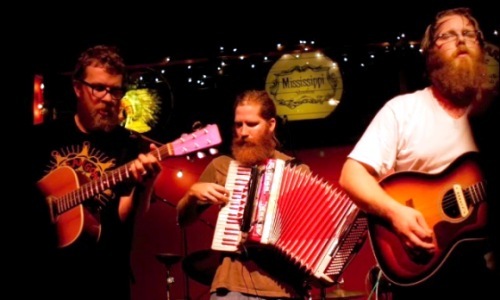 Megafaun – Impressions of the Past from Hometapes on Vimeo.